Ian Helliwell’s fascinating short films on the work of the internationally acclaimed sculptor William Pye are to be screened at Depot to coincide with a major exhibition. The films will be followed by an ‘in conversation’ session between William Pye, Professor Gavin Henderson CBE, Chair of the Secret Garden Kemp Town, Ian Helliwell and Hamish Black, the acclaimed sculptor selected for the garden’s inaugural exhibition in May 2016. William Pye exhibits eleven important pieces in the Secret Garden this May – a special show for a wide audience, from art lovers to those new to sculpture and also children. Pye’s sculptures are made principally from stainless steel and cast bronze, and water is integral to most of his work. He is inspired by the extraordinary qualities of water, and how these can be manipulated. The Secret Garden is unique in Brighton & Hove, the only garden of its type in the city, and the only place where major outdoor works of sculpture can be shown in a secure setting. Its beautiful planting scheme is the perfect backdrop for artworks and the garden itself is an oasis of calm in which to enjoy them. William Pye has held exhibitions at the Peggy Guggenheim Museum, Venice; in Sao Paolo and Rio de Janeiro; in the USA, Hong Kong and Japan; and many in the UK. His work is found in private gardens and public places. These include a major commission on London’s South Bank; sculpture in the Mariinsky Concert Hall, St Petersburg; in the Serpent Garden, Alnwick Castle; in Drammen town centre, Norway; and in Muscat, Oman. He is a Fellow of the Royal Society of British Sculptors, an Honorary Fellow of the RIBA and President of the Hampshire Sculpture Trust. The Secret Garden Kemp Town originally belonged to 32 Sussex Square which was bought by its first owner, Laurence Peel, younger brother of the Prime Minister, in 1830. Several of the grand houses in the square had extensive gardens, each of which was accessed through a tunnel leading from the appropriate house. The Secret Garden is now the only remaining one of these. It is ‘secret’ because it is a delightful walled garden hidden from view, in the midst of suburban Kemp Town. In 1950, the Secret Garden was purchased by the family of Antony Dale, founder of the Regency Society and founding officer for the listing of historic buildings nationwide by the then-Department of the Environment. It was cared for by Antony and his wife (later widow) Yvonne, who gave great consideration to its future. She approached Gavin Henderson who had the inspired idea of creating a sculpture park within a beautifully planted English garden. It is now run by Antony Dale Trust. Ian Helliwell, who is based in Brighton, has completed over 100 short films exploring themes including sculpture, sound visualisation, painting, animation, video feedback, found footage and collage. Ian, whose films are often accompanied by his own specially composed electronic music, has worked closely with William Pye. Gavin Henderson is Principal of the Royal Central School of Speech and Drama. He was formerly Artistic Director of Brighton Festival and Dartington International Summer School and Principal of Trinity College of Music, which he merged with Laban Centre. He has been President of the European Festivals Association, Chairman of the British Arts Festivals Association, a founder council member of Arts Council England and founder of Youth Music. 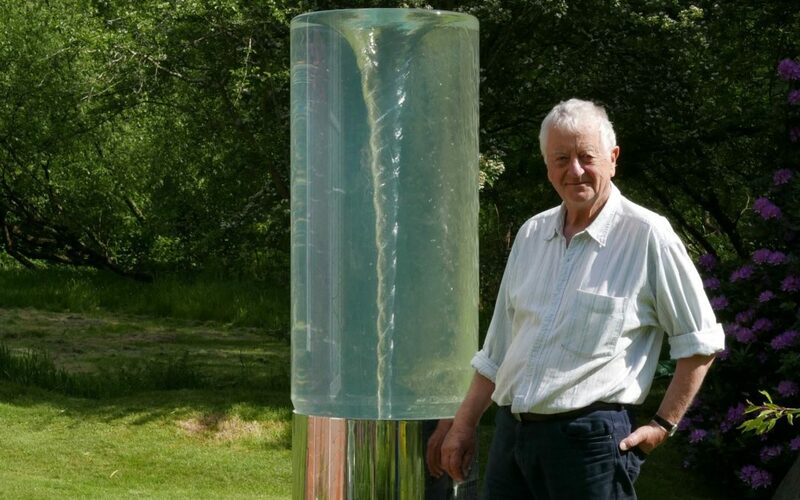 William Pye: Sculpting With Water is at Depot on Saturday 1 June at 13:00. The exhibition is at The Secret Garden in Brighton from 4 May to 2 June.